Free shipping to United States with $25 purchase from MargretaMadeIt. See item details below for sale terms. 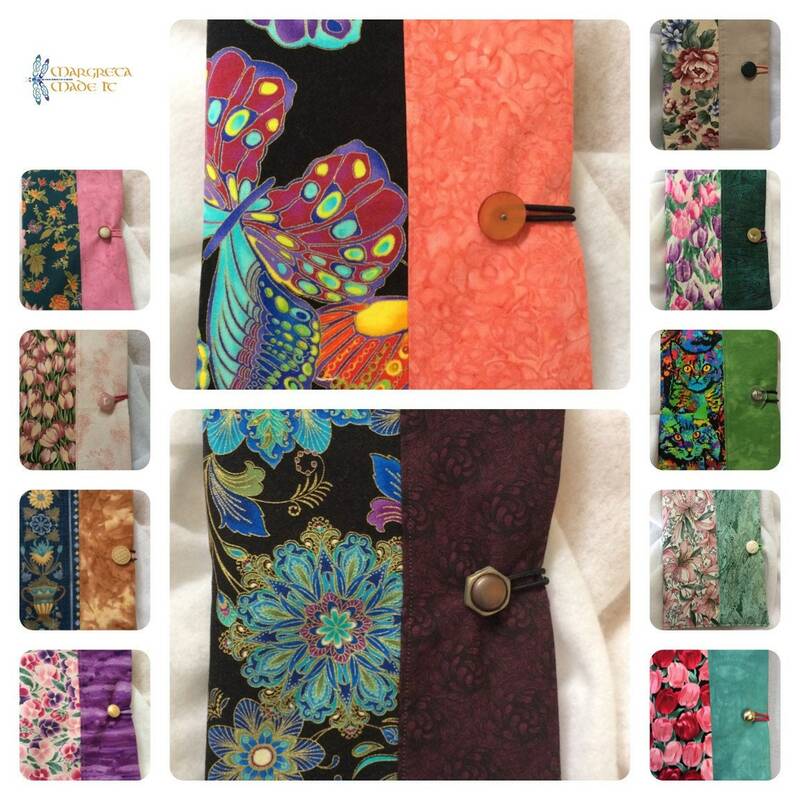 Original one of a kind holder for your junior legal notepad with multiple pockets to hold your pens and loose papers as well. This cover fits a standard 5 inch by 8 inch jr legal notepad and is re-usable by just slipping a new notebook in this quilted cover. The pad folio closes with an elastic loop around a button. Give mom or someone special a gift of flowers that last - most options have floral fabric. Comes with one 5 x 8 inch notepad. I made these in my smoke free and pet free studio. I will refund postage differences. I do offer gift wrapping with simple tissue paper and gorgeous ribbon. I will print your special message and paste it on a card of my choice and include with the gift. The package I mail in is also special. If you do not see a cover combination that you like, please convo me. Your item will be boxed and wrapped with either holiday wrapping paper or white paper with a stamped holiday design (snowflakes) and ribbon tied. Purchase $25.00 or more and receive free shipping. I received this in the mail today and it's PERFECT! Seller was amazing to work with and I wouldn't hesitate ordering from her again! Thank you SO much!!! I love my reusable straw pouch! 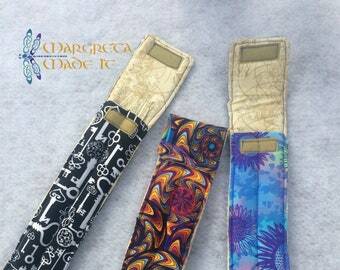 Margreta happily takes custom orders and works quickly. High quality product made with love! Thank you! Margreta was great about communicating the status of my order. 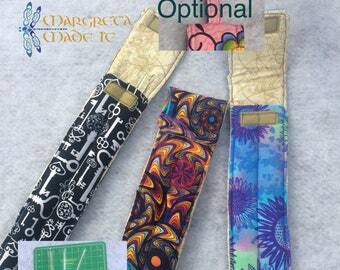 I ordered the 2 pocket padded pouch for my glass straws in the blue wave fabric. It's so beautiful and functional!